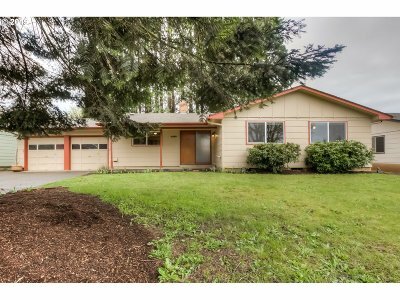 South Salem home with newly refinished floors and new interior paint to highlight the large living room with a fireplace in the heart of the home. Plenty of windows throughout provide you with sunlight all day long. French door leading to covered deck and back yard with mature trees lining the property. Chicken coop and shed in back.